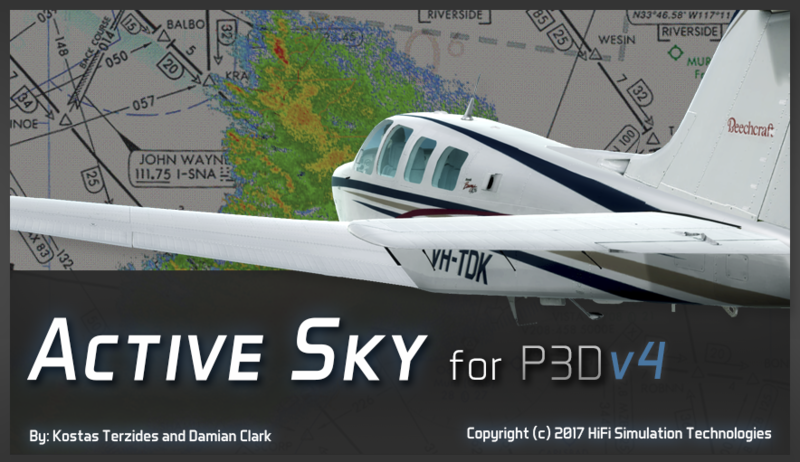 Introducing Active Sky for P3Dv4: featuring P3Dv4 integration, a 64-bit ASConnect interface, 64-bit XGauge, improved visibility depiction, turbulence effect enhancements, active runway data and more. This will be a FREE UPGRADE for all AS16 for P3D users. Purchase AS16 for P3D (reduced AND on sale right now at a deep discount) and you’ll receive the free upgrade to ASP4 on release! Because of the very complex and challenging changes required for advanced Active Sky weather integration with P3Dv4 over 64 bit, many core fundamental modules and processes had to be redesigned. The development is complete, but we have not yet performed proper BETA testing. As P3Dv4 releases, we will concurrently begin our beta cycle. We will release as soon as possible. This could occur as early as a few days after P3Dv4 release, but may take more time. We will keep everyone updated on our progress throughout the beta. In addition, Active Sky Cloud Art SP2 update (free of charge) featuring P3Dv4 and ASP4 integration will be released in the same time frame. Thanks go out to all our customers for your continued support of Active Sky development. We are excited and grateful to have to opportunity to create another Active Sky version in our 17th year of weather engine development. Thank you for your patience while we finish getting it ready for release. Stay tuned for more information at www.hifisimtech.com and our Facebook page.